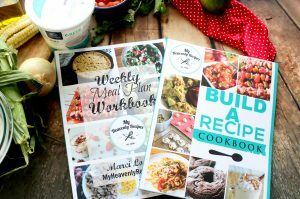 The Instant Pot can make your life easier. 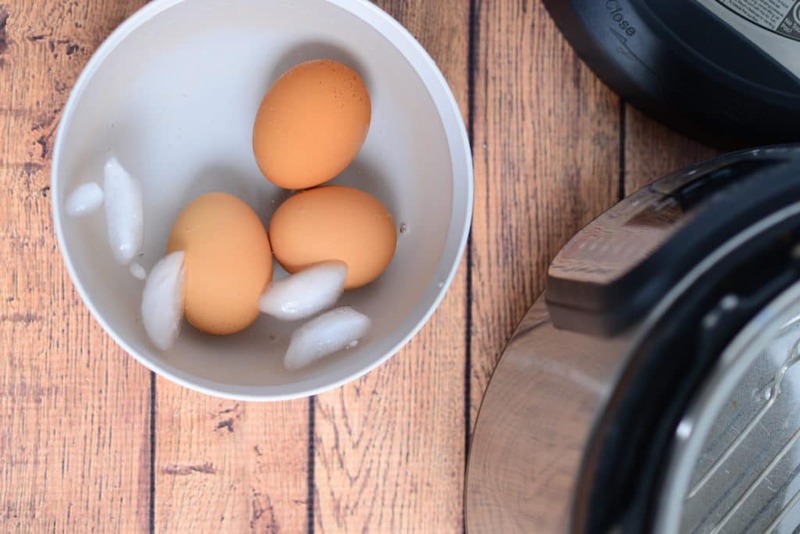 Use your Instant Pot to make hard boiled eggs in no time. 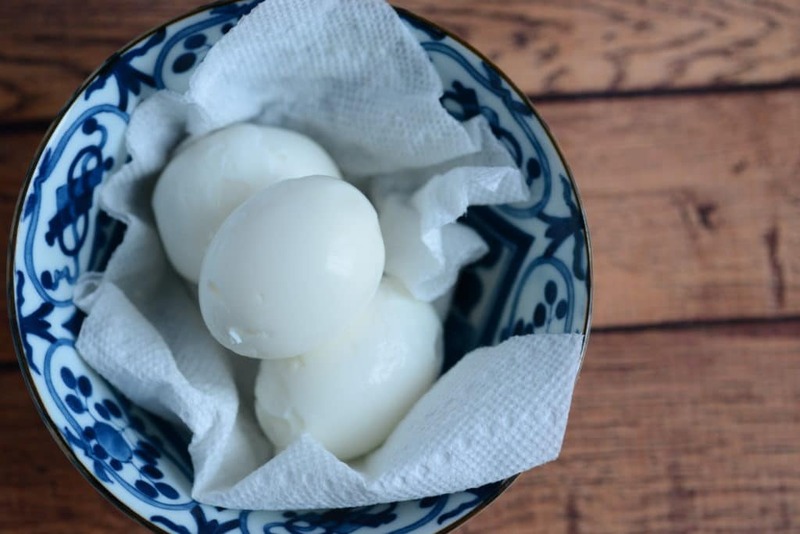 It is a no-fuss way to make hard-boiled eggs. 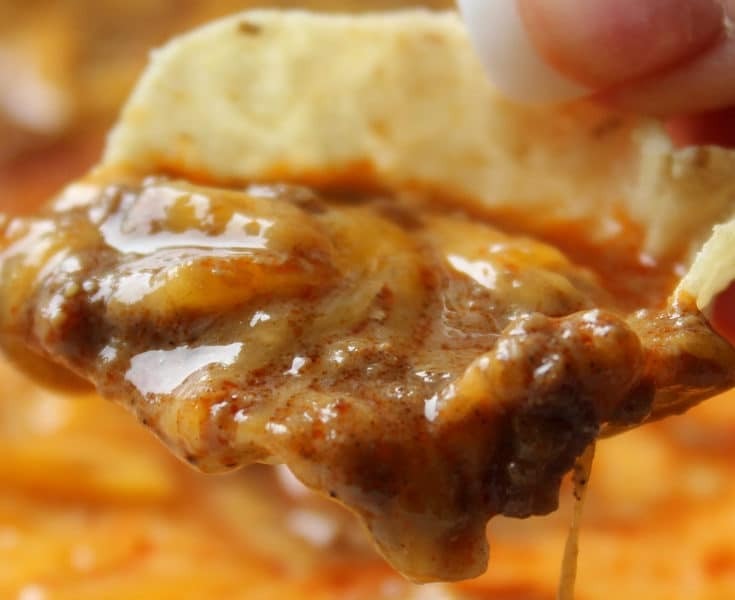 There are many things you can make in your Instant Pot. It is a great way to get easy to peel hard boil eggs. 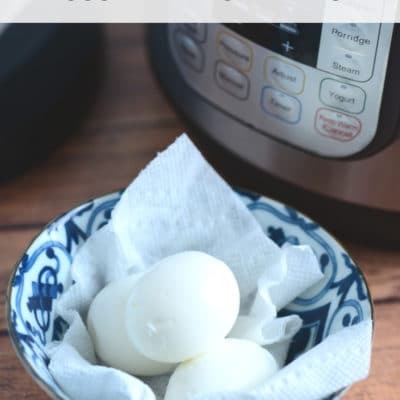 Making Instant Pot hard boiled eggs gives you easy hard boiled eggs in a fraction of the time. Can I Boil Eggs in my Instant Pot? 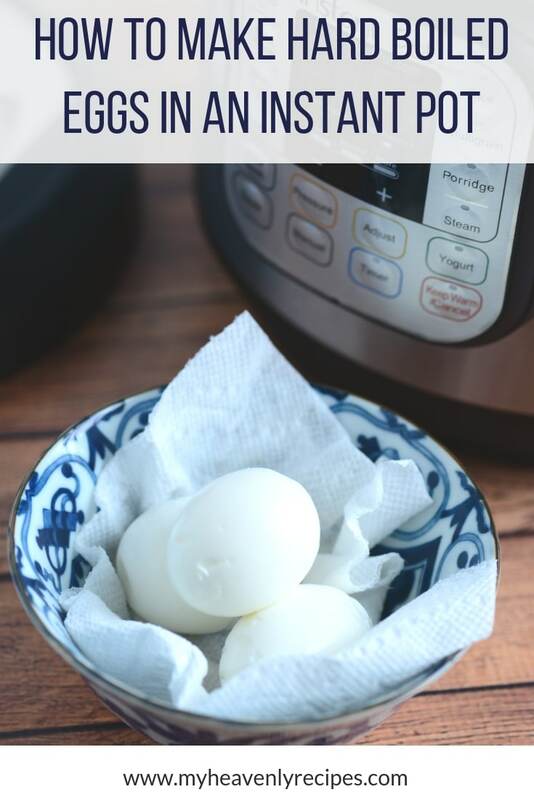 It is easy to boil eggs in the Instant Pot. 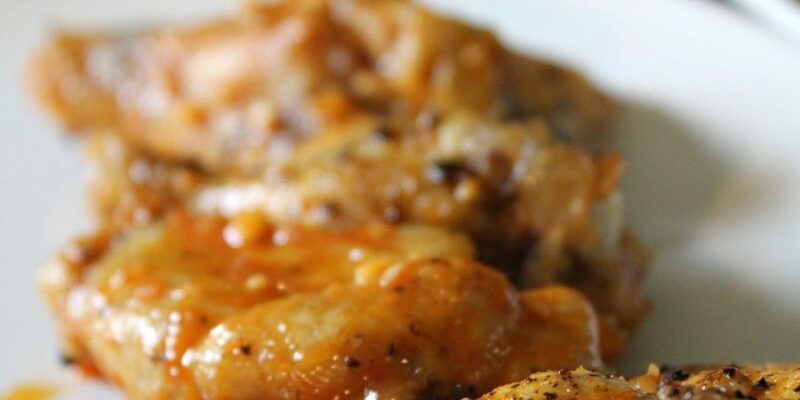 All you need is to put the eggs in the bottom of the Instant Pot rack and add water. 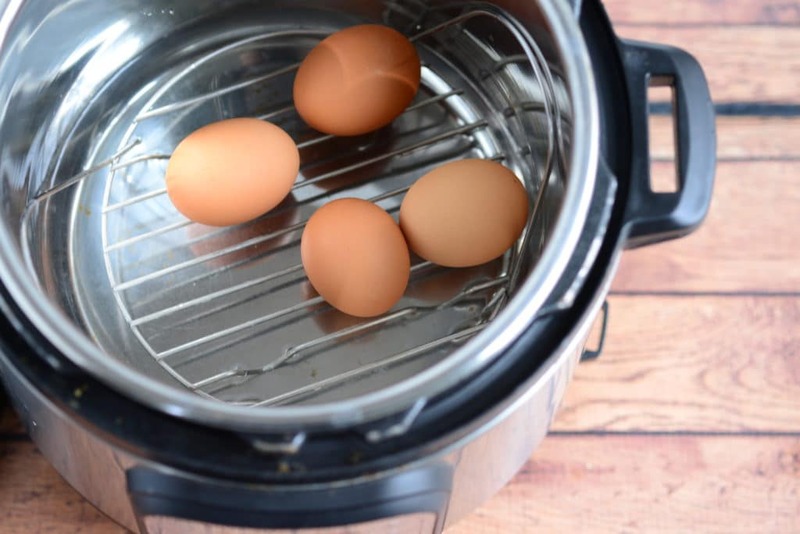 As the Instant Pot gets to pressure, it will boil the eggs and make easy hard boiled eggs. How do you hard boil eggs so they peel easy? It is awful when you have made a batch of hard boiled eggs that you can not get to peel. 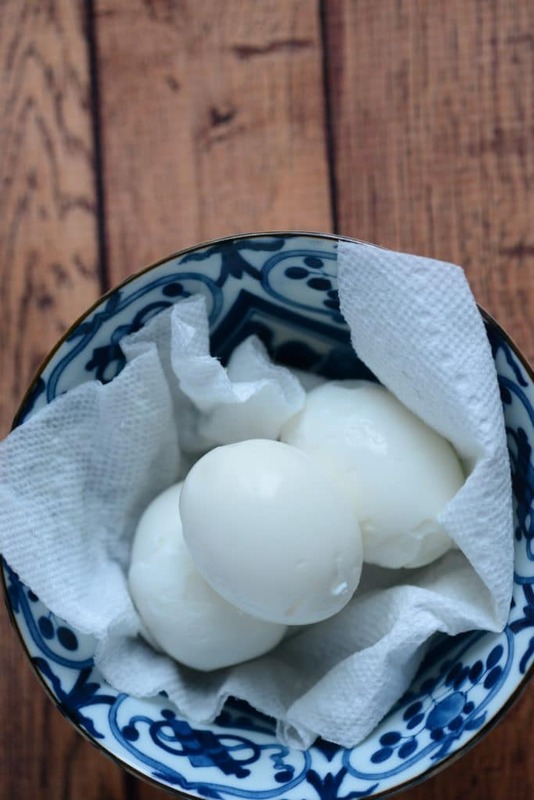 If you want to make hard boil eggs so they peel easily, you will want to peel the eggs when they are cold. The best way to have easy to peel eggs is to shock the eggs when you are done cooking them. This causes the egg to shrink slightly and it will peel much easier. How many eggs can you boil in an Instant Pot? Because you are using the Instant Pot, you can safely cook as many eggs as you can fit in your Instant Pot up to the max line. However, most people only cook the number of eggs that fit in a single layer on the trivet in the bottom of the pressure cooker. That means you can boil about a dozen eggs in the Instant Pot. Pour the water into the pot, and place the eggs in a steamer basket if you have one. If you don’t, just use the rack that came with your pot. Close the lid, set for 5 minutes at high pressure. 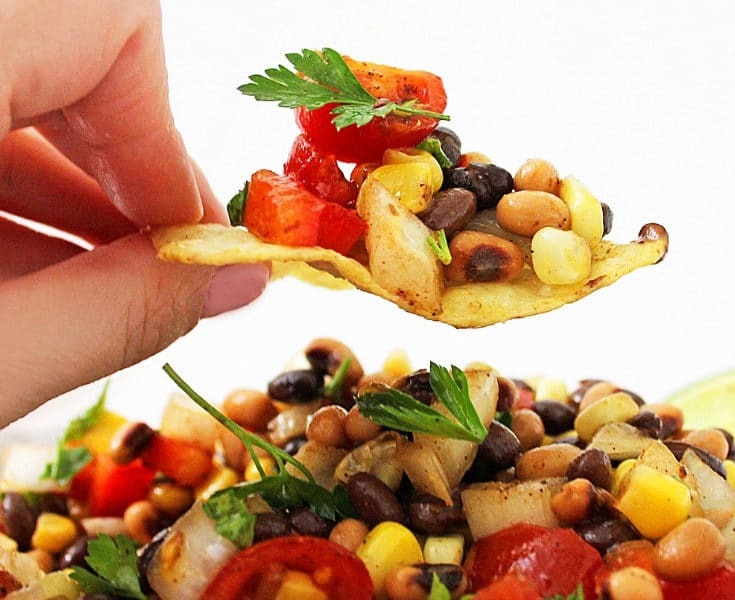 It will take the cooker approximately 5 minutes to build to pressure and then 5 minutes to cook. I let the pressure naturally reduce for an additional 5 minutes after the cooking cycle completed, and then did a quick pressure release. That’s around 15 minutes, total. 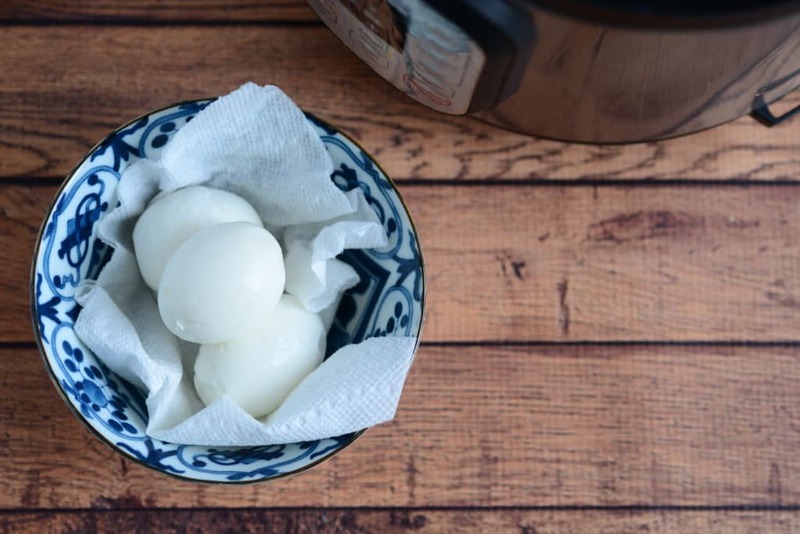 Place the hot eggs into cool water to halt the cooking process. You can peel immediately, or wait– it’s up to you. Pour the water into the pot, and place the eggs in a steamer basket if you have one. If you don't, just use the rack that came with your pot. 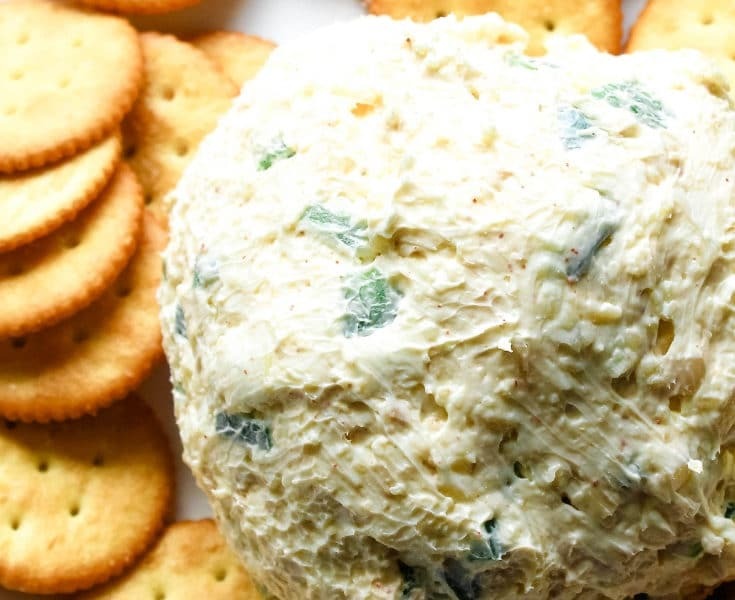 It will take the cooker approximately 5 minutes to build to pressure and then 5 minutes to cook. I let the pressure naturally reduce for an additional 5 minutes after the cooking cycle completed, and then did a quick pressure release. That's around 15 minutes, total. Place the hot eggs into cool water to halt the cooking process. You can peel immediately, or wait-- it's up to you.